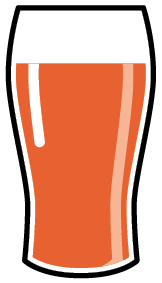 A comforting amber brown colour, this beer offers up more-ish hints of malt layered with a slightly spicy hop aroma and fruity finish. Ugly name but a BEAUTIFUL beer! We love our rural location, it’s always a delight at any time of year to see what nature has to offer us and surrounding the brewery and local moors are rhynes (like a stream), which play home to amazing wildlife, including the somewhat beautiful and rare – yet strangely named – Frogbit plant. As this beer is both beautiful and rare (it’s a special brew) we figured that despite it’s unusual name, it was quite fitting for what we’d created. 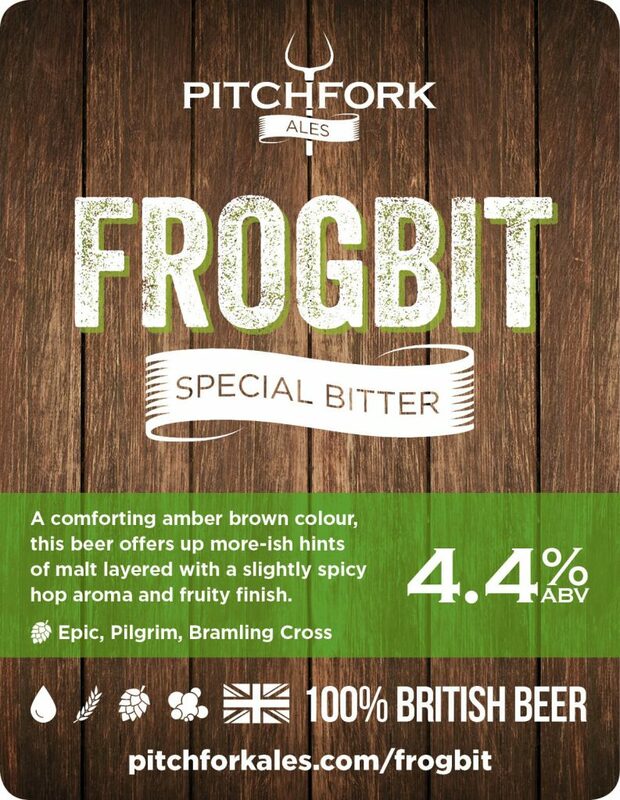 We can confirm that no frogs were used in the making of this beer! 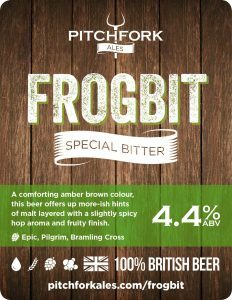 Frogbit is 100% British Beer! All of our beers are entirely, and proudly, British. From our West Country water, through the traditionally floor malted barley and English hops and yeast, you can be confident that Frogbit is 100% British. Frogbit contains gluten from barley.